I don’t know about you guys but I love playing with colour, layering, mixing and matching. A new brand I mentioned awhile ago is by MAKE. The colours are bold, look-at-me colours that can be applied subtly or with dramatic flair. Everything is in the wrist and your favorite makeup brushes, although I have been known to use my fingertips. This palette is called Celeste e Verde, Blue & Green and the colours are sublime. The pigments have long-wearing colour, they don’t come off until you take them off. I can’t wait to try these with one of my various shades of crimson and guess what? If you forget to take your tried&true red, there is a red inside that not only compliments the shades but various skin tones. Plus, if you’re not in the mood for red there are other shades available. Truly a collection of fiery brights and gorgeous earth tones. This is so tempting. 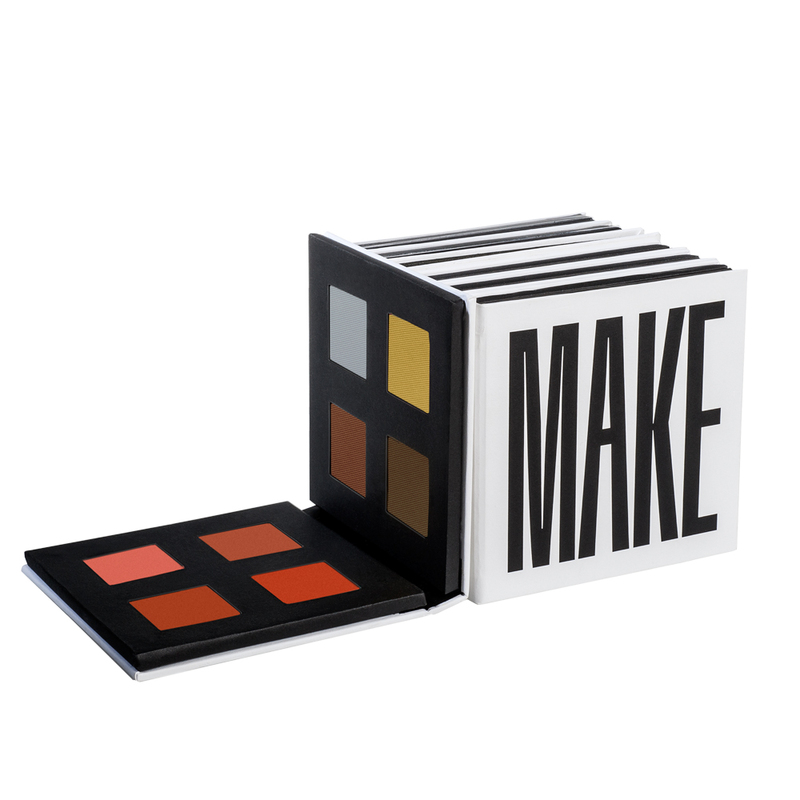 That packaging is so sleek and stylish, plus the eyeshadow I’ve tried from MAKE is really great. I only have one peachy shade that I got in a Birchbox ages ago, but I love it!